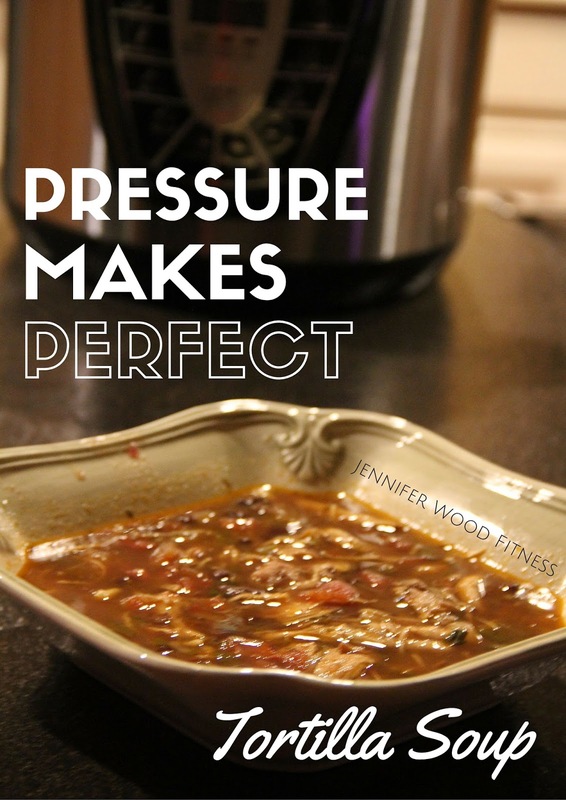 Healthy Pressure Cooker Tortilla Soup Recipe ~ this is so good! Plug in pressure cooker. Select meat setting and allow to heat up for a few minutes. Pour in 1-2 tbsp olive oil. Saute onion and jalapeno. Brown chicken sprinkled with spices for a few min on each side (it doesn't have to be cooked all the way). Add remaining ingredients place lid on. Press cancel. 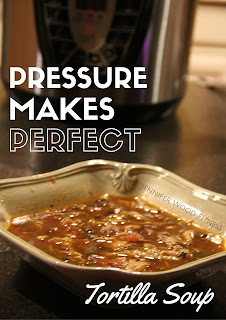 Press soup, adjust time to 20 minutes. It will take a little while for the pressure to build up and once that happens it will take 20 minutes. Chicken will fall apart. Shred chicken. Serve with avocado, tbsp. Monterey jack cheese, hot sauce, fresh lime juice, tortilla chips (just a few for crunch) – or choose your toppings. You can make this in the slow cooker by cooking for 4-6 hours on low. Send me a friend request on Facebook. I post even more food on my Facebook page.